We had a wonderful tour with Juan. Perfect for anyone interested in ecology or urban issues. The best tour guide we ever had in 60 years of traveling. TOUR GUIDE RESPONSE: Stephany, You are too kind. I thank you for your words. It was my pleasure to guide you here in Medellín. I hope you continue to have an interesting stay in Colombia. Juan has created an informative, entertaining, well thought out and comprehensive tour which provides great insight into this wonderful city. We are thrilled with the experience and recommend it highly. TOUR GUIDE RESPONSE: Annette, I am glad you enjoyed the day, and I hope you continue to have a great time in Colombia. Juan prepared a wonderful tour for us. We didn't know what to expect from Medellin but the city was really interesting and also charming. Juans topic "urban transformation" was on the point. the places in change have been much more interesting than the classic tourist spots. Highly recommended. TOUR GUIDE RESPONSE: Sigrid, thank you for your kind words. Juan Camilo was a splendid tour guide and human being! He was quite knowledgeable and provided spectacular insights of what we were seeing and what was happening in real time. Highly recommend him! TOUR GUIDE RESPONSE: Dr. Rosado. Thank you for your kind words!. I had a lot of fun talking to you and I learned many new interesting things from you and your wife. You will always be welcome here. Wow, awesome transformational tour. Juan really has a passion for Medellin and the Colombian people. He has the ability to connect and transmit the Paisa spirit. He also has a deep knowledge of the city and was a pleasure to have conversations with. Juan was even able to make the tour fun for our curious six year old. He picked a wonderful restaurant for lunch. We also really appreciated his helper Alejandro who was able to be on time, gracefully navigate complicated traffic and keep our things safe. TOUR GUIDE RESPONSE: Guy. I am glad you and your wife liked the tour. I certainly did!. It is always a pleasure to talk to educated and fun people. You son is smart and a little gentleman, so it was also very special to show him around on this, one of many trips he has ahead of him. Cheers! You guys are the best! Juan was a very knowledgeable guide. Showed up exactly on time. Know this town extremely well. Really gave me the information I was looking for and very flexible about our itinerary. This is my first time ever in Colombia and Medellín. I very much wanted an orientation to the area so I wasn't floundering on aimlessly. And he certainly provided that. I can't recommend him enough. When I return to Medellín, and I will, I will certainly engage him again. Juan Camilo is a very knowledgeable guide. He was excellent and provided a most rewarding experience during our tour of Medellin. It truly was a "tour by locals" which enlightened our understanding of this beautiful city and its history. He was always aminable to our interest and it made our day most fulfilling. We recommend him highly. We had the best day we could ever ask for with Juan as our guide. He was flexible, informative, knowledgeable and picked the best places for us to visit and easiest way to get around the city. We see our day with him as a highlight of our trip to Colombia and will recommend him to friends and fellow travelers. He was a perfect fit to our interests and the whole experience was just amazing. It felt like he and his wife Lena our driver were long time friends- their warmth, friendship-so wonderful. TOUR GUIDE RESPONSE: Glenna, Thank you for your kind words. We also enjoyed the day as much as you did. Getting to know educated, well traveled, fun people is always a pleasure... and a privilege. Cheers. An excellent guide with totally fluent English. Enjoyed my tour completely, esp. tour of the biosphere park where Juan Camilo had been instrumental in its startup and knew well the various personnel within the park, adding to its charm. You can't go wrong with him. TOUR GUIDE RESPONSE: John, Thanks for your kind words!. I Enjoy the day as much as you did. I will argue that you can't go wrong with you as a traveler also!. Juan was very knowledgable, spoke fluent English and was pleasant to spend the day with. This tour provides you with a look behind the curtain on Medellins amazing transformation. Juan is flexible to individual needs and timetables. We recommend this tour to anyone interested in not just seeing the city but feeling it to. 12 out of 10 for this tour. TOUR GUIDE RESPONSE: Rob, Thanks for your kind words. I hope you and your traveling party continues to have fun in Colombia and will come back at some point in the future. cheers!. 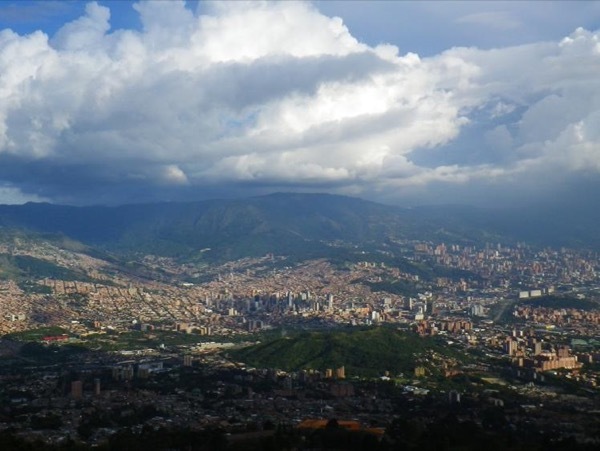 My first trip to Colombia and Juan Camillo provided a wonderful experience of Medellin. He is engaging, educated and friendly. We wend to some barrios and central area. He flexibly planned a tour that was personalized to me. I especially liked the way that he creatively improvised during the day. He wasn't following a script. I don't usually go on tours, but this one was spectacular. If you're looking for a tour that covers the bars and clubs in el Poblado and Pablo Escobar's house, then this tour is not for you. If instead, you'd like to see and understand the ongoing transition that has taken Medellin from near chaos to one of the most innovative and resilient cities in the world, then Juan's tour will far exceed your expectations. He is both informative and entertaining and has genuine street cred through his work on several important projects in Medellin. Highest rating! Juan is outstanding. He has an intimate knowledge of Medellin's history and places of interest. Juan designed a tour based on our interests and then proceeded to go beyond our expectations in educating us and guiding us through our tour. Thank you Juan and thank you Tours by Locals for making Juan available to make our Medellin tour memorable. This was one of the BEST tours we have ever taken anywhere! Juan has a wealth of knowledge and enthusiasm, plus a great love for his city and country. We learned so much and have taken away many wonderful memories. This is an essential tour to take in order to understand both the past and the present of this dynamic city. The entire tour was done using public transportation (metro, cable car, escalators). Don't miss it.